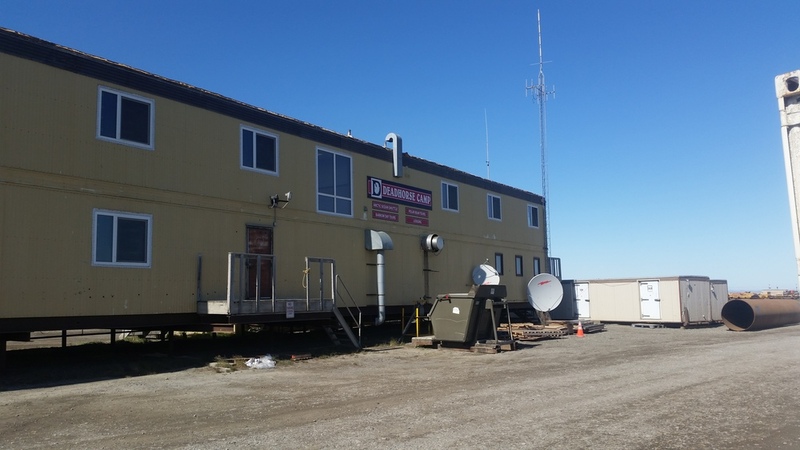 Deadhorse Camp is located south on the Dalton Highway from the Deadhorse Airport, close to Mile 412. It is an industrial style area, and does not look like typical hotel accommodations. Look for a yellow, mustard colored two-story building. Deadhorse Camp is on the left hand side of the road when heading north on the Dalton Highway. See the pictures below for more aid in locating us. For a printer friendly document version of the steps below, click here. The building is a mustard yellow colored two story building and the area is quite industrial looking. 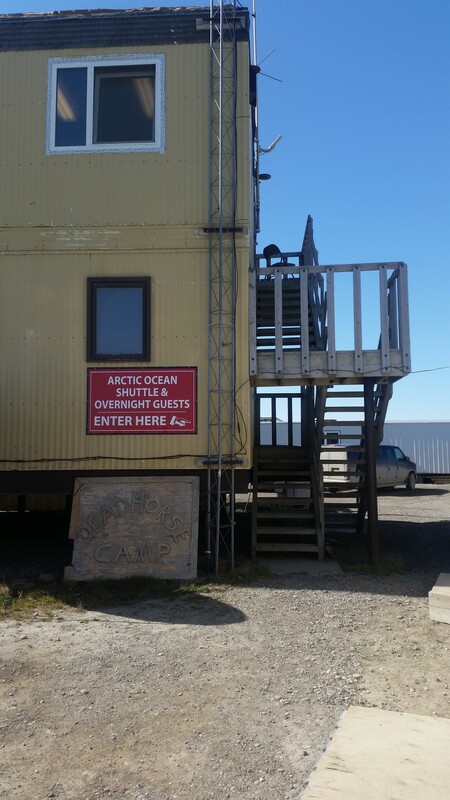 There is a black and red sign on the side of the building closest to the road that says Deadhorse Camp. Please keep this in mind when searching for our location.